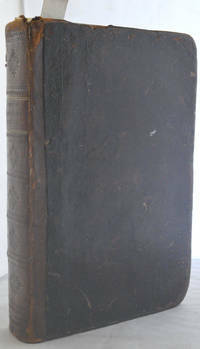 Utrecht: Franciscum Halma, 1687 Original full leather, still in good condition, rebacked in calf preserving original spine. 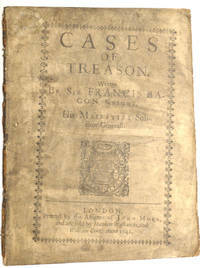 Contents complete in 3 sections with 43 text illustrations and 6 folding plates (one torn). The first part of the book covers Harpocrates - 180 pages. 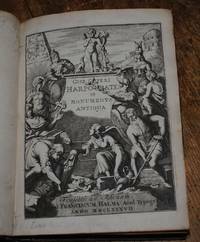 The second section has a separate title page 'Gisberti Cuperi Monumenta Antiqua Inedita and follows in in page numbering. The third section has a new title page 'Stephani le Moine ad Gisb. Cuperum de Melanophoris Epistola' and again follows on in page numbering. This section is written in greek and hebrew as well as Latin. Very bright and clean throughout. Deals with the cult of the Egyptian god Horus in the Roman world, detailing rights, beliefs and monuments. 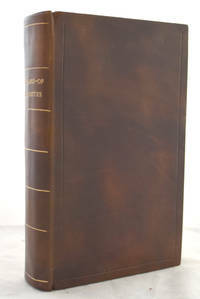 A spectacular book mainly due to the number and quality of the text and folding engravings. Small 8vo but wider pages than is normal.294 pages plus an 'index auctorum' and an 'index rerum' and an errata list.